LIMA (Reuters) - Peru's Congress dismissed the country's comptroller on Monday over accusations of misconduct, removing a key antagonist of the government as the opposition leader proposed a rare meeting with centrist President Pedro Pablo Kuczynski. Lawmakers voted unanimously to remove Comptroller Edgar Alarcon from his post for allegedly directing public funds to the mother of his children, violating ethics rules by running a business in office and coercing an auditor to withhold information from Congress. Alarcon denied wrongdoing and said the accusations were a bid to distract the public from the government's missteps. 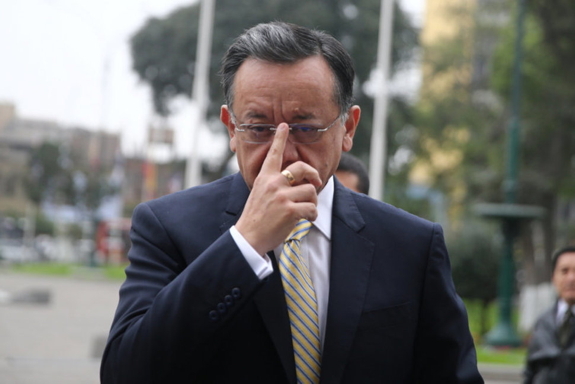 Alarcon has criticized public work projects that Kuczynski's cabinet had tried to expedite as the economy slowed and accused three of Kuczynski's ministers of improperly pressuring him to produce a favorable review of a contract modification. Following the vote, right-wing opposition leader Keiko Fujimori published a letter in which she asked Kuczynski to meet her next week to discuss the economy and efforts to fight corruption. Kuczynski's office did not immediately respond to requests for comment. If Kuczynski accepts Fujimori's invitation, it would be the second known meeting between the two former rivals in a year and could lead to better relations between Congress and the executive branch following months of escalating tensions. Kuczynski narrowly beat Fujimori in last year's elections but her party swept up a majority of seats in the single-chamber Congress. Fujimori, who has largely stayed out of the public eye since her loss, promised that her party would be a watchful opposition force in Congress. While their parties have similar views on economic policies, lawmakers in Fujimori's party have accused Kuczynski's government for being soft on crime and trying to secure benefits for private interests. Several of Kuczynski's ministers have been targeted by Congress for questioning and potential censure. 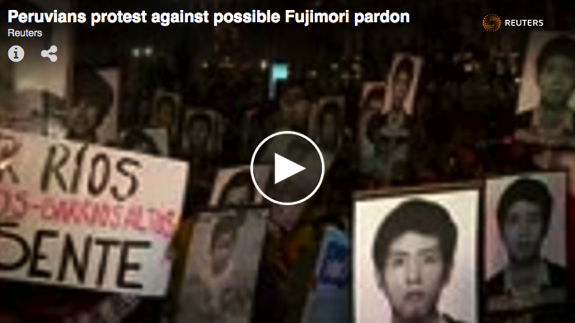 Last week, as he lost a third minister to congressional pressure, Kuczynski said it was time for him to consider pardoning Fujimori's father, former President Alberto Fujimori, who is serving a 25-year sentence for human rights violations. Kuczynski, who took office less than a year ago, will have to appoint a new comptroller to a seven-year term with the help of Fujimori's party. Audits of projects and government activities that started on Alarcon's watch may continue, including a review of state-owned energy company Petroperu's oil refinery expansion plan and the recent $2 billion bond issuance to finance it.